Correct posture is at the core of the Advanced Spinal Corrective Techniques. 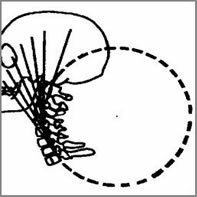 The curves in your spine act as levers, shock absorbers, and resistance to gravity; they also protect and reduce forces acting on the spinal cord and nerve tissues. 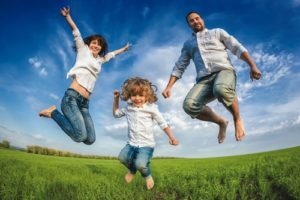 But, gravity, age, poor posture, improper physical activity, injury, and disease can all play a role in the misalignment of your spinal curves and, as a result, your entire body..
As in all fields of study dealing with the human body, i.e. physiology, hematology, anatomy, etc., there exist normal values for alignment of the spine. The Harrison Spinal Model is an evidenced based model for side view spinal alignment. 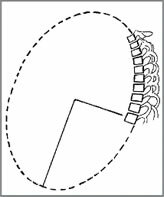 It is the geometric path of the posterior longitudinal ligament or the backs of the vertebra from the 1st neck vertebra to the bottom of the lower back or top of the sacrum. These are “evidence based” models. 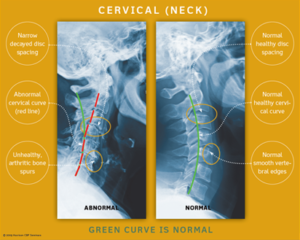 In fact, the neck-cervical circular model27 and the low back- lumbar elliptical model29 have both been found to have discriminative validity between pain and non-pain subjects. In other words, the Harrison Spinal Model has been found to be able identify pain subjects versus non-pain subjects by what their spinal x-ray shapes are. Here the shape in the neck curve should approximate a piece of a circle. Here the shape in the ribcage should approximate a piece of an oval or ellipse. Here the shape in the low back should approximate a piece of an oval or ellipse. 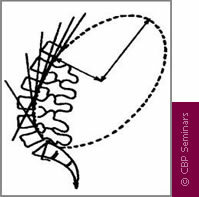 Here is the exact geometric model of the side view of the spinal curves as identified by Harrison and colleagues. This model can be used to determine what abnormally is wrong with a patient’s side view of the spine. For example, a full spine x-ray on the right is shown. The red-curved line represents the Harrison spinal model and this shows where the patient’s spinal vertebra should be lined up. 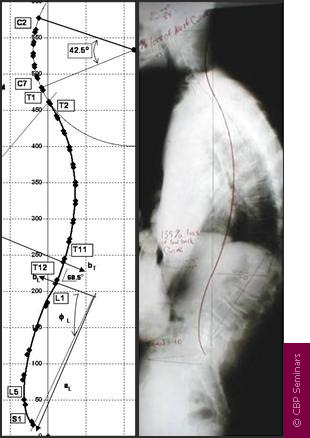 It is apparent that this patient has altered the spinal alignment as they do not fit even close to the Harrison Idealized Spinal Model. The Harrison spinal model is depicted as the GREEN curved line in this figure. On the Right is a normal curved patient x-ray. On the Left is an abnormal curved patient x-ray; where the patient’s abnormal shape is shown by the Red dashed line. The Harrison Spinal Model in the neck has been shown to reasonably predict which person will have neck pain compared to normal subjects.